I am a millennial. There, I said it. If you’re wondering what I’m referring to, the word “millennial” typically refers to the generation that reached adulthood around the turn of the 21st century. Okay, okay, but what does being a millennial have to do with genetics? I want to talk about family history. I’ll bet you didn’t know that Thanksgiving is also National Family Health History Day. Yep, there’s probably a lonely hashtag out there just itching to trend. Thanksgiving offers a great opportunity to talk about your family health history. 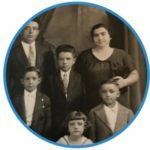 About a year ago, I wrote a post discussing the importance of knowing your family health history and provided a few tips for compiling one for your own family. While these tips were intended to be for people of all ages, and certainly still apply, I thought it would be helpful to identify a few suggestions specific for people my own age. You see, the millennial generation is often scolded for being too forthcoming with their personal information, especially on the Internet. But, as someone who is required to ask rather personal questions on a regular basis in my job as a genetic counselor, perhaps this is something (if done properly) that we can use to our advantage. While we may not remember the time before Susan G. Komen 3-Days and Alex’s Lemonade Stands — it existed. In fact, there was a time in which it was considered improper and uncouth to talk about topics such as cancer or mental illness in public, let alone in hushed tones under one’s own roof. These illnesses were often seen as a punishment or curse — something to be embarrassed about. But millennials have taken huge strides in normalizing mental illness, rallying around those battling cancer, and raising aware of genetic diseases. Go us! So, some family health history tips for millennials, shall we? Spark the conversation. If your relatives see that you are comfortable talking about your own health, it may inspire them to also be forthcoming. Use your technology superpowers. Think of creative ways to use your smartphone or tablet to make memories with family members. After getting the OK from your family, record a video, take photos… dare I say pull out the selfie stick? If your family doesn’t already have one, consider making a private Facebook group for family members to post exciting updates and share information. Branch out your family tree. I may have poked fun about our generation’s love of selfies, but what if you compiled a family tree and used a selfie from each family member? How cool would that be to pull up again in #ThrowbackThursdays of the future? Educate. Use your super awesome googling skills to help your family members learn about health and genetic conditions in your family using tools, such as ThinkGenetic. Find a genetic counselor. When in doubt, seek out the help of a genetic counselor. You can locate one of these DNA information superheroes in your part of the U.S. using this nifty tool. Scrolling through Facebook and Instagram, I’ve learned that there are “national days” for practically every deliciously unhealthy food item in existence. I’m serious, not only do we have holidays to celebrate our siblings, our pets, and chocolate chip cookies, but we also have holidays to celebrate some more obscure things like rhubarb and moldy cheese (in case you’re wondering, October 9th is #MoldyCheeseDay). #NationalFamilyHealthHistoryDay it is! I’ll be taking advantage of some of your ideas, Morgan. Thank you for taking the time to write something for the younger folks out there who are leading the charge!